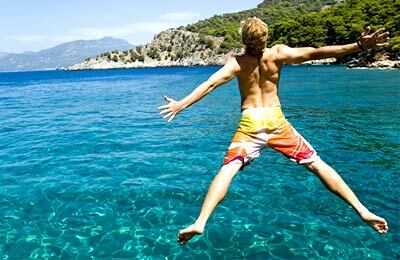 Book with 2GO Ferries simply and easily! Whether you choose to go to Manila, Caticlan, Bacolod, Cebu, Tagbilaran, Cagayan De Oro or Zamboanga, you will surely have a great time! 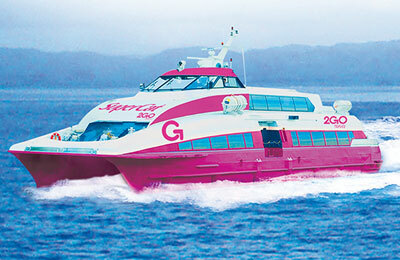 The ferry operator 2GO Travel was created after the unification of ferry companies Negros Navigation, Superferry, Cebu Ferries and Supercat to become one of the bigger providers of ferry services on the Philippine Islands. This operator offers a wide variety of services and facilities on its ferries, which combined with marvellous destinations and great accommodation gives as result crossings in a higher level of quality and comfort. Travel to Manila, Caticlan, Bacolod, Cebu, Tagbilaran, Cagayan De Oro and Zamboanga in style! Depending on the ship, on board you will find a variety of facilities, such as dining area, ballroom, convenience store, spa & salon and function room. The dining areas are sections on the 1st and Economy classes where you can enjoy a show while you are having a delicious dinner. With ocean views and a smart and cutting edge style, this room can accommodate up to 200 people. The ballroom has an area around 200 square metres that can host discos or large formal meetings. It's prepared to host performances and has an operational bar. The convenience store gives you access 24/7 to a variety of products, like snacks, drinks, toiletries, counter medicines, and souvenirs. The spa & salon offers beauty treatments on board as well as hairdressing services, massages, etc. The function room is a private meeting area that can accommodate up to 150 people. This room can be divided to fit a few meetings at the same time. It's full equipped and includes a projector. How long before departure should I arrive for 2Go Ferries?